88 mins. Rated PG-13 for sexual and crude content throughout, language, some violence and a drug reference. Steve Carell (TV’s The Office, Alexander and the Terrible, Horrible, No Good, Very Bad Day) and Tina Fey (TV’s Saturday Night Live, This is Where I Leave You) are comedic powerhouses with great chemistry, and in Date Night, from director Shawn Levy (Real Steel, Night at the Museum: Secret of the Tomb), they get the chance to play with it, even with the screenplay’s excessive shortcomings. Carell and Fey play the Fosters, Phil and Claire, and they need a new spark of romance in their lives. Their friends are getting divorced from a lack of love and they desperately want a date night to change it all, so when the tables are booked at the new restaurant, they take the table reserved for the absent Tripplehorns and enjoy their night. That is, until a case of mistaken identity leads to a seedy underworld of bad cops, worse mobsters, and a missing flash drive containing some very dangerous content and the Fosters have more on their plates than a missing spark. 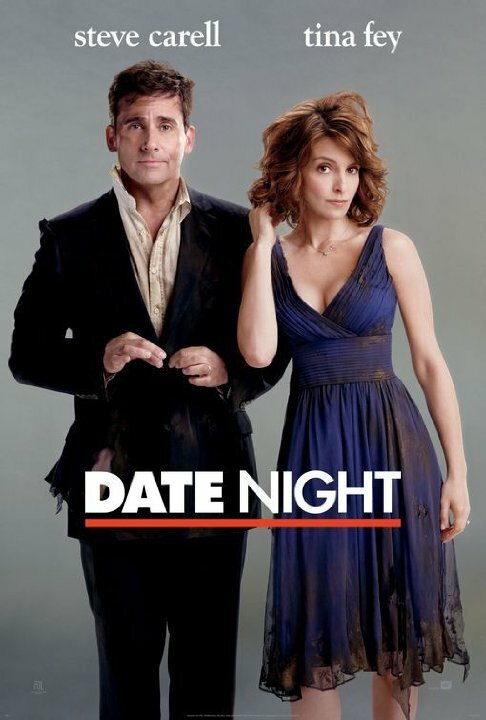 Carell and Fey have tremendous chemistry and play so well off of each other, while director Levy controls the camera nicely lobbing back and forth between action and comedy. We also get some great cameo work from Mark Wahlberg (Boogie Nights, The Gambler), James Franco, Mila Kunis, and more. The biggest issue here is from screenwriter Josh Klausner (Shrek Forever After: The Final Chapter, The 4th Floor) and his disappointing script. It has a nice general outline; there are laughs here and action there, but rarely do the two meet on equal ground (the dual-car car chase is an exception) which doesn’t give the leads much to do to flash their creative abilities. 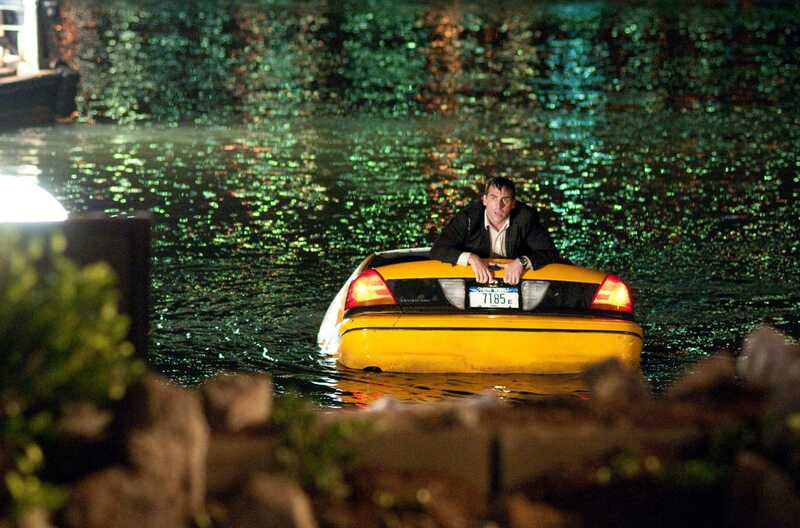 The leads perform quite admirable and carry the film much better than most others could, which help make Date Night a worthy view of a film, even if it suffers from pitfalls of a less-than-worthy screenplay. For my review of Shawn Levy’s Night at the Museum, click here. For my review of Shawn Levy’s Night at the Museum: Battle of the Smithsonian, click here.